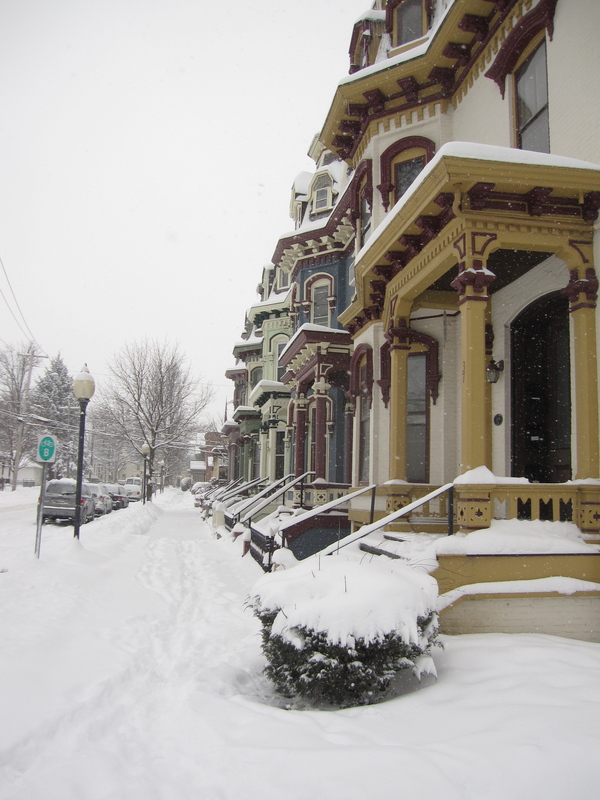 We all know that Saratoga Springs is a great place to go in the summer, when it’s warm – but what about a getaway to upstate New York in the winter? Is there even anything to do in the cold? The short answer is yes, there is— but here is the long answer. Saratoga is quieter in the winter, there is no doubt about it— and the migrating population that triples the size of the city during track season (yes, triples) isn’t present, but that is a good thing. There are a couple of major events that happen in Saratoga in the winter that you can plan your travels upstate around – and there are always smaller distractions and adventures in the winter that you can find. First Night in Saratoga Springs is what it sounds like – a New Year’s celebration. It’s actually (outside of Times Square) one of the biggest New Year’s celebrations in New York State. The event is planned by one of Saratoga’s major institutions with events planned all over the city, ranging from band performances to interactive installation art – plus some great discounts at local watering holes. And there are fireworks at Congress Park at midnight. January is typically a quiet month in and around Saratoga, but things start picking up in February. An event that I look forward to every year is Chowderfest – $1 chowder samples from the majority of the local restaurants. It’s a great opportunity to spend time with friends and family, and enjoy some great food. In 2012, Chowderfest was the day before Superbowl Sunday; it was just a weekend of food that was oh-so-good-but-oh-so-bad-for-you. 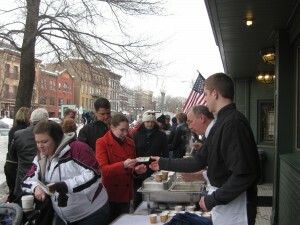 Beer week is new to Saratoga in 2012, and is coming to the area at the end of February – the 23rd to the 25th. The event is going to be a combination of free and paid events that range from beer tastings to specific beer-entrée paired menus at local restaurants and beer seminars from local brewers. This 25-year-old celebration of dance and music attracts all sorts of arts lovers, from Cajun dance enthusiasts to Gospel or Scandinavian music aficionados. The three day event, lasting from Feb. 17 through the 19, provides plenty of entertainment for children and adults alike. It is the perfect way to liven your spirits and awake from your winter slumber. Venues and performances are strewn across the city, so it is the perfect time to set out for Saratoga, explore the city and see what you happen upon. While all these events are fine and dandy, what about if you just want to come up to Saratoga in the winter and meander in the snow? You can do that too – there are more than enough winter adventures that you can go on – though leaf peeping isn’t so much an option. 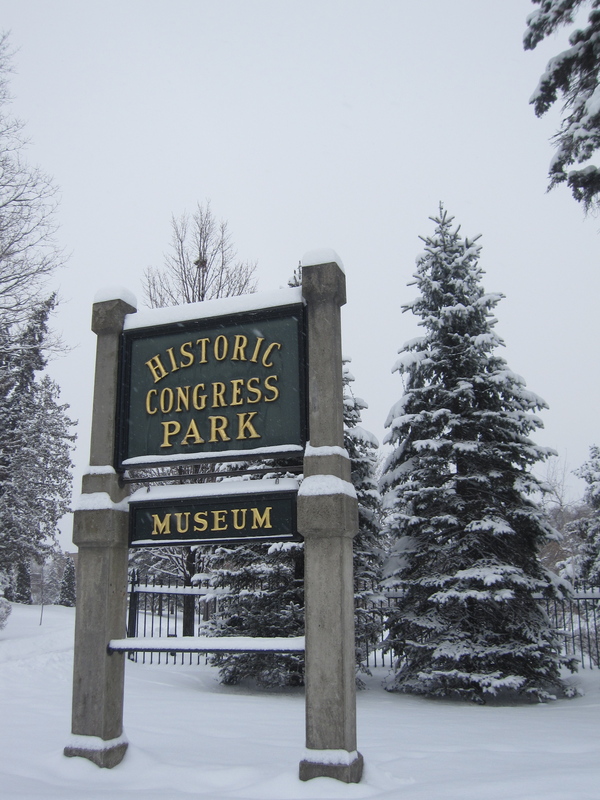 Saratoga Springs has a large amount of wooded space that you can wander – from Skidmore College and Congress Park to the larger Saratoga Spa State Park, you’re bound to find corners to explore and enjoy the crisp winter chill. If you’re a little more graceful, there is an ice rink that you can go to and skate at – or, there’s the pond that freezes over at the state park if you want to enjoy the scenery. For the snow bunnies, you don’t have to venture up to Vermont to hit the slopes either – West Mountain is only 20 minutes north! All in all, Saratoga in the winter is the best of both worlds – there are major events and entertainment going on if you wish to take advantage of it, but Saratoga can also be that quiet retreat into the winter snows that some of us need after the hectic holiday season (plus, the reputation of the city as “Spa City” doesn’t hurt, either). Whatever aspect of winter you’d like to enjoy, Saratoga Springs can offer it to you. Amanda King currently resides in Saratoga Springs – and hopes that people are as enchanted with the city as she is. Travel is in her blood, and she’s starting to get wanderlust to head off somewhere else…but she’s not sure where yet. Wow, awesome blog layout! How long have you been blogging for? you made blogging look easy. The overall look of your site is fantastic, let alone the content!. Thanks For Your article about Saratoga in Winter-Things to do in Saratoga | The Lost Girls . Election 2008: Voting for change!